Every year as winter transitions to spring at Ayers Creek Farm, contributor Anthony Boutard and his wife Carol scan the skies and listen for the sound of the farm's pair of great horned owls beginning their courtship ritual. 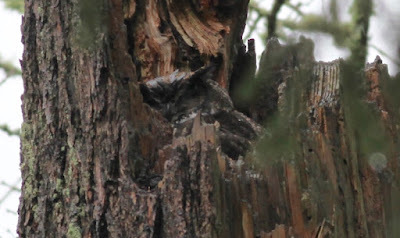 In a stand of evergreens a few hundred yards from the farmhouse is a broken snag where for years the owls have raised their young. In his own ritual, Anthony sets up his tripod and binoculars and watches as they lay their eggs and raise their young. Announcing the reproductive effort of a bird presents a dilemna. Is it when the egg is laid, or when it hatches? For us, it is easier to announce the laying of the egg. We knew it was coming given a couple of days of the seasonal courtship palaver. Last night, our great horned owl hen (above center, barely visible) laid her first egg and has settled down for almost two months on the nest. The next egg will follow in a few days. A third is possible, but most years there are just two hatchlings that emerge. The first chick will hatch in about 28 days [from Feb. 21st]. Her mate—they are monogamous and mate for the long term—will feed her for the first month and a half, or until the chicks have grown enough that they can be left unattended. The two birds communicate regularly and have different voice. During this vigil, the male hunts in our oak savannah. As the chicks grow and need more food, he will roost and hunt in a grove of ash trees about a half-mile away. The female will take over the hunting in the savannah. The laying of the egg happens in February, but the day varies every year. In 2012 on the 15th, 2013 on the 14th, and in 2014 it was on the first and 2015 on the 13th. Pretty late this year. You remember old Gregor Mendel and his peas from junior high science, right? How he figured out the basics of genetics by breeding different varieties of peas together to see how their characteristics changed over generations? 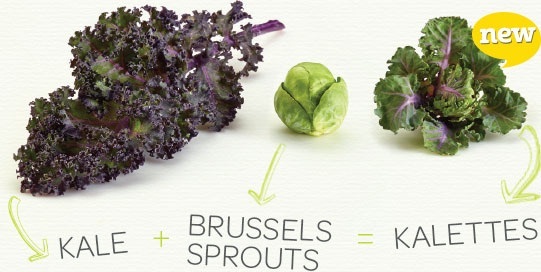 Well, someone, in this case Tozer Seeds, a British vegetable breeding company, did something of the same thing by breeding kale and brussels sprouts together. 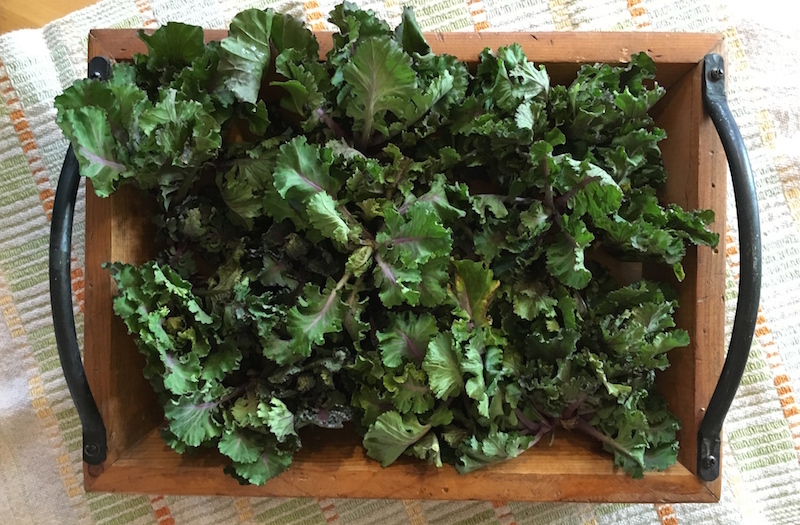 This was possible because kale and brussels sprouts are both members of the brassica oleracea group. And, looking for a new vegetable line that consumers might just want to take home to meet the family, the plant breeders at Tozer came up with a cross between the two that has a milder flavor than a brussels sprout but packs all the nutrients and fiber of kale. 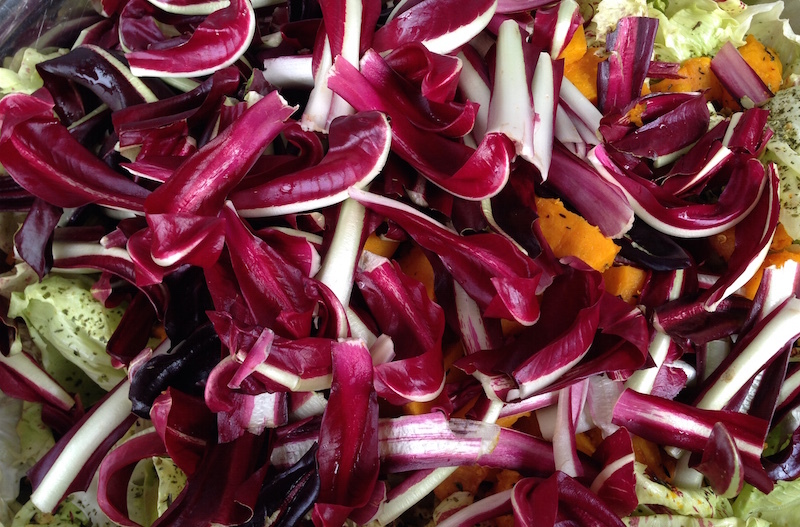 Tozer dubbed this new vegetable "Kalettes" (pron. kay-LETS) and has trademarked the name, but because they were created by using traditional cross-pollinating, any company could create their own hybrids. And they have, with names like BrusselKale, Lollipop Kale and Flower Sprout. 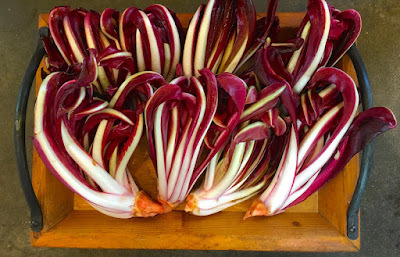 I ran across them at Josh Alsberg's new Rubinette Produce in the Providore Fine Foods store on NE Sandy. 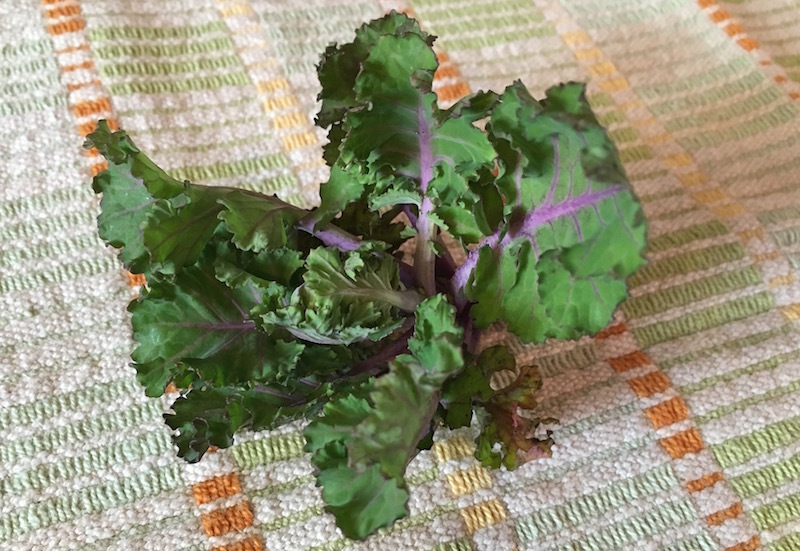 The purple-green, rapini-like florets in his case were grown by Mustard Seed Farms in St. Paul, but they're available right now at local farmers' markets from Groundwork Organics and Gathering Together Farm, among others. I understand from Josh that they're wonderful roasted, and you can obviously also steam them, but I'm thinking they might be terrific stir-fried or chopped into a salad. If you get some, let me know how you like them best, and if you come up with any new nicknames! Photo on upper left from the Kalettes website. 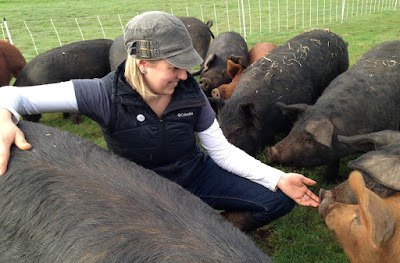 Farm Bulletin: Avoiding the "Tragedy of the Commons"
Lots of us think that farmers just stick seeds in the ground and wait until they're ready to harvest, maybe giving it a sprinkling of water now and again, then taking it to market where it's sold and ends up on our dinner table. As contributor Anthony Boutard of Ayers Creek Farm outlines below, it's a longer and much more laborious process from seed to harvest. He went by "Starlight." Heavy in the shoulder, long in carriage and gentle in disposition. In the autumn, passersby would gather a handful of the tart, nameless pippins, descended from apple cores tossed from carriages decades before, and entice him to the fence line to stroke his big white face. This polled hereford bull passed his years in a shady pasture along Rannapo Creek laconically providing the raw ingredients for artificial insemination, the AI of the day. It was a lovely spot to idle, the stream banks washed yellow with marsh marigolds in the spring, followed by the lush green leaves of skunk cabbage through the summer, and then blue with asters into the late autumn. He wintered up at the complex of barns near the farmhouse, returning to his pasture following the courtship of the woodcocks and the spring peepers. His owner, John Howden, was highly regarded for the quality of his herd and seminal sire, as well as the bull before Starlight. John's greater claim to fame, extending well beyond his lifetime, was in fact a well-bred and distinctive pepo. The "Howden" pumpkin (top photo) is still sold by seed houses across the country. It is the standard by which the Connecticut field pumpkin was and is measured. 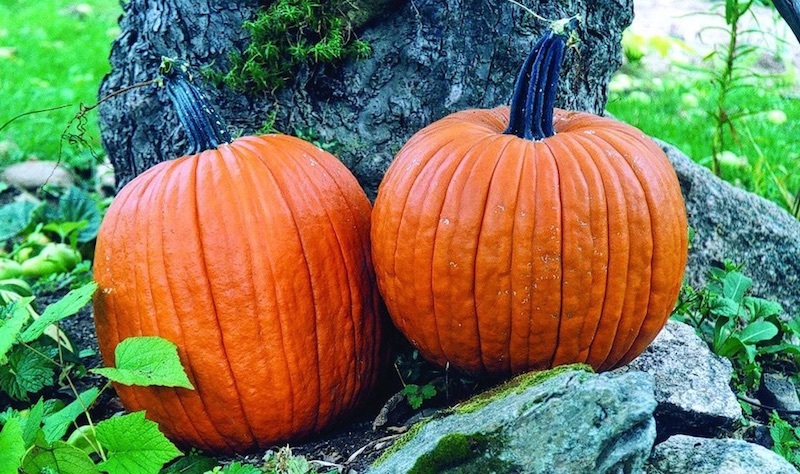 John spent the better part of a decade refining his pumpkin through careful selection. In the early 1970s, he applied for and received a Plant Variety Protection (PVP) for the pumpkin. If we recall properly, his son was an attorney who aided the process. Granting of the PVP meant that John controlled the sale and marketing of the seeds for the pumpkin. He grew the pumpkins on his farm and sold the seed to Harris Seeds Company. Good seed farmers do not sit on their laurels, especially when their name is on the variety. Every year a large field of pumpkins was planted and only the best pumpkins were selected for their seed. Passing the field on misty autumn mornings, John's 100 or so herefords would be seen grazing, in soft seasonal focus, on the culled pumpkins—squash and pumpkins have long been grown for winter livestock feed, which is probably how John entered the world of pepos. Around the same time, the progeny of his fruits from a year past would grow from Harris's catalog entry to decorate porches, schools and storefronts all across the country, many with a candle and a face lighting up the fall evenings. Many still do. Controlling the seed, he controlled the seed quality. There is a prevalent view that once a variety is developed and stable, no further work is needed—all you need to do is save a portion of seed each year and you are doing the Lord's work. Treating a variety as a common asset will work for a while. Nonetheless, without careful maintenance of the variety's traits the quality will deteriorate and it will lapse into a feral state. There is no invisible hand assuring that the variety will remain useful to the cultivator, in fact, just the opposite. Nor will calling a variety an "heirloom" inoculate it from the law of entropy, the tendency to drift from an ordered to a disordered state. That's nature. This principle of genetic entropy was illustrated locally a few years ago under the banner "'Blue Lake' beans suffer the blues." The Oregonian quoted a letter from a Newberg resident who wasn't happy with her Blue Lake pole beans; I've had increasing problems in recent years with some of them being flat and stringy when mature…no plumping, so to speak. I thought I was doing something wrong, but a change in location and irrigation has not solved the problem. According to the article, many gardeners and farmers had encountered the same dismal results. As it happens, the producers of the Blue Lake pole bean seed let it "run down." Without applying energy to keep the treasured traits in place, the bean drifted away towards a feral—low energy—state, producing the tough, stringy pod typical of its ancestors. Same as when you see a Queen Anne's Lace growing in the meadow, it is nothing more than a carrot that has drifted away from domestication, producing an ancestrally tough, stringy root and a feral disposition. Word is that a breeder is working on restoring the Blue Lake pole bean to its plump and fleshy reliability. What happened to the Blue Lake pole bean and other older varieties that have declined in quality can be seen as a "Tragedy of the Commons." In a 1968 essay in the journal Science, Garrett Hardin proposed that common or shared ownership can lead to overexploitation of a resource without the corresponding investment to maintain its function and value. Despite the gnashing of teeth and lamentations over Monsanto and the consolidation of seed companies, the truth is there are thousands of crop varieties in public domain, the seed commons. Within that reservoir of diversity, there is no mechanism to truly reward careful stewardship of their quality. Every so often, a variety becomes the food pet of the moment, and the "puppy mill" mentality grips the heirloom seed industry as they overproduce seed, the variety's traits are compromised, and then the jaded food lovers move on to the next "thing." As we have noted previously, the process of pushing a crop variety away from the feral brink, or teasing out traits for an improved variety, is expensive and time-consuming. Many of the crops we sell are the result of such an investment on our part, some requiring the better part of a decade in realization as well as thousands of dollars out-of-pocket. There is also a creative side to the effort; even with restoration, the breeder needs a clear understanding of the crop, "a feeling for the organism" in Barbara McClintock's words. At its core, the PVP recognizes the effort, money and creativity invested in a new variety, and provides a mechanism and time for the breeder to possibly recoup that investment. Unfortunately, it is not a farmer-friendly process. The PVP acts much like a copyright as opposed to a patent. It is possible to patent plants or traits (utility), as well. Crops and livestock are really better seen as expressive works rather than inventions, per se. The traits of a plant are our alphabet or scale, and we try to select them in pleasing and useful combination. The PVP allows farmers to buy a protected lettuce variety and sell the lettuce. They can also produce seed for the protected so long as it is used to grow more lettuce on the farm, but not sold as seed. Research exemptions are included, as well as protection of the larger national interest. As seed breeders and producers, we believe the Plant Variety Protection Act needs to be reworked to make it more accessible to farmers who draw out and protect useful traits in crops. In addition, independent seed producers and breeders need to look at the nonprofit American Society for Composers, Authors and Publishers (ASCAP) as model. Currently, the work and cash investment we carry out on the seeds we grow goes back into seed commons with nary a penny back to us for our effort. We are willing to let that happen, though we may seek PVP status for some of the varieties we have worked on in the future. As Howden's neighbors, we would help him out at calving time and scratch Starlight's ears occasionally, and in the process a shard of the gruff old farmer's breeding efforts infected us. Forty years hence, we are heartened to see the Howden pumpkin still in the seed catalogs, a testament to the benefits of the PVP he secured. To see the fruits of this labor—beans, grains, flours, greens, preserves and more—visit Anthony and Carol at their farm store this weekend, Feb. 13-14, from 2-5 pm, 15219 SW Spring Hill Rd., Gaston. Hawthorne Boulevard was a run-down stretch of pavement lined with dilapidated buildings when Pastaworks first opened in 1983. But the rent was cheap and the neighborhood was ripe for reinvention, so business partners Peter de Garmo and Don Oman, inspired by a pasta shop in Boston that de Garmo had wandered into, decided to open a European-style food emporium. Within a year other businesses began flocking to the street, and what started as a whim began looking like a genius move as Portland's food scene started taking off. 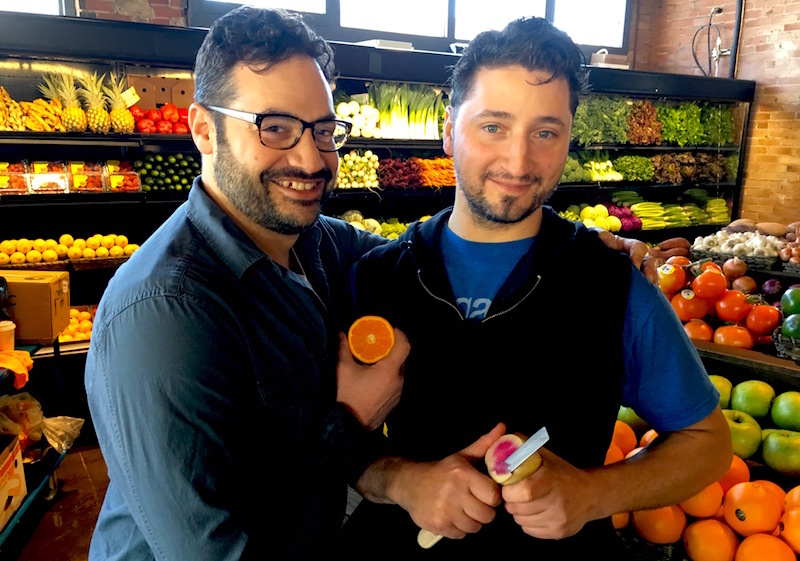 Josh Alsberg (l) and Ken Fisher of Rubinette Produce. So more than 30 years later, when Pastaworks' owners, Peter's son Kevin de Garmo (top photo) and his wife, Kaie Wellman—Oman sold his share of the store and founded Casa Bruno, one of the city's top-rated wine distributors—announced that they were closing the shop and moving it to Northeast Sandy Boulevard, neighbors were aghast. 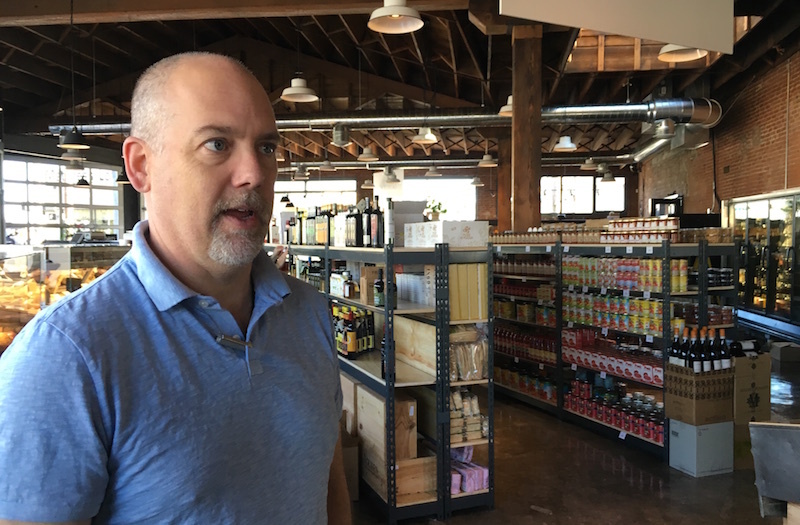 But in what may come to be seen as another whip-smart move, the new shop has taken residence in a former car dealership on an up-and-coming, close-in stretch of Sandy that in years past was known for its drug dealers, dive bars and ladies of the night. Lyf Gildersleeve of Flying Fish and Meat Monger. 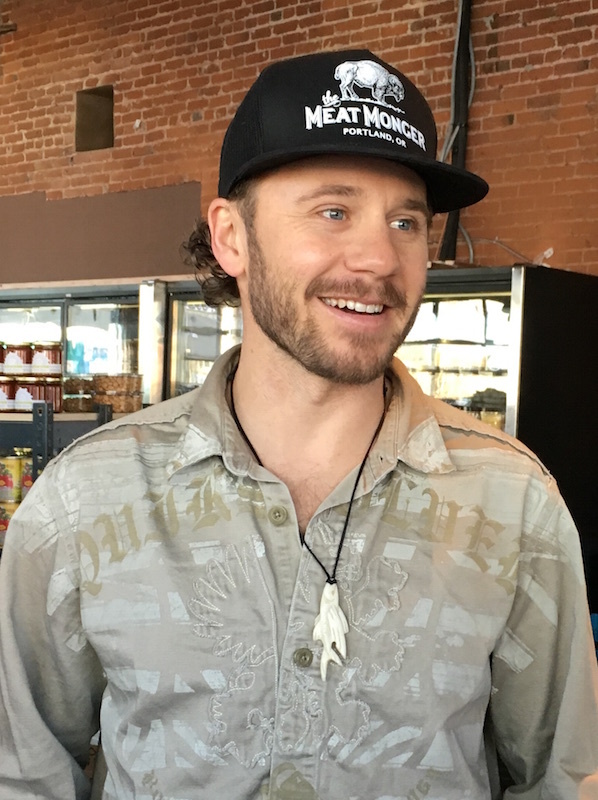 Rubinette Produce: Known as a true produce geek, Josh Alsberg was lured away from Food Front Co-op by the opportunity to open what he conceives of as a daily farmers' market. 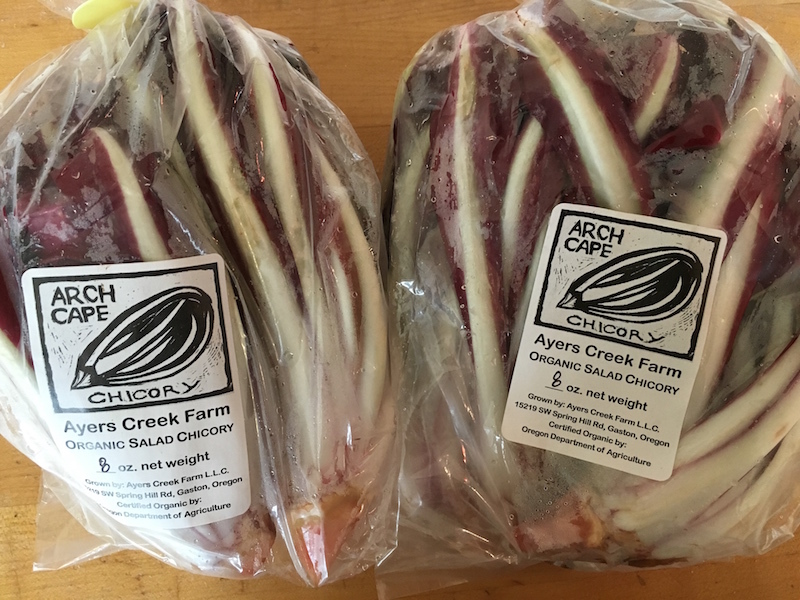 Josh is well-regarded for his relationships with the area's top farms, so you'll find produce sourced from local farms like Deep Roots Farm, Gathering Together Farm, Stone Boat Farm and others. Flying Fish Company and the Meat Monger: Lyf Gildersleeve started his Flying Fish Company on Hawthorne five years ago, marketing sustainable, local seafood out of a rolling trailer. Like the original, this outlet will also be featuring whole fish and adding a daily oyster bar for your delectation. 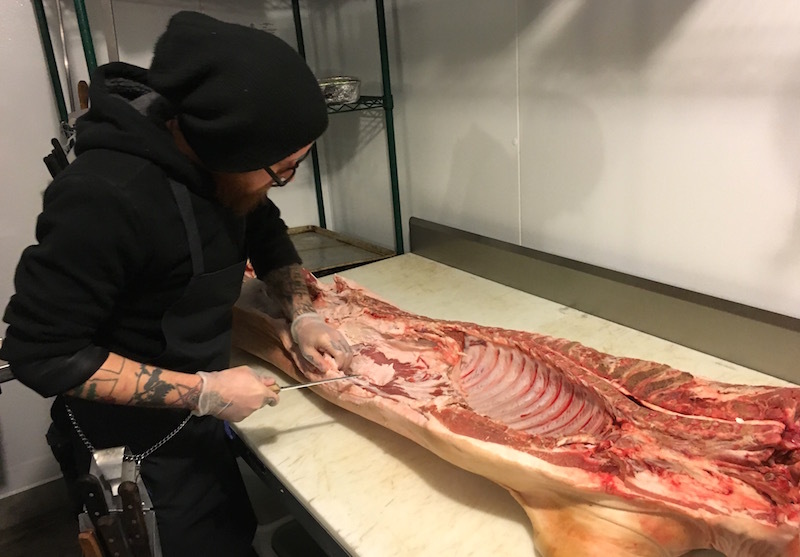 The Meat Monger is a new endeavor featuring local, sustainably raised pork, beef and lamb. Little T Baker: Tim Healea's loaves are among the best to found in this gluten-friendly town, and his were at the top of the list when Providore came knocking. Also find his breakfast pastries to enjoy alongside an Illy espresso. Emerald Petals: Hilary Holmes' eco-friendly, botanical flower shop is committed to the "slow flower" movement with organic, locally sourced flowers and arrangements. Arrosto: Rotisserie chicken is all the rage, and the Pastaworks team has designed this Mediterranean-style rotisserie chicken to satisfy the take-out crowd or dine-in noshers. Head to the walk-up window for chicken and sides like they have in Italy. 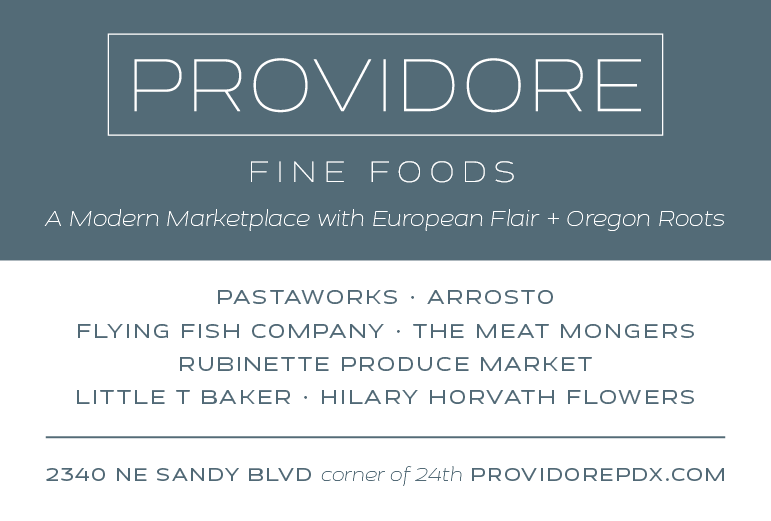 Details: Providore Fine Foods, 2340 NE Sandy Blvd. You know how it goes. You're talking on the phone with a friend, and then…oh, wait, right, this is 2016. You know how it goes. You're texting with a friend, and then she says how it's been forever since you've seen each other and you should make a date to get together. As a matter of fact, they're thinking of having some folks over, and would you like to come? It'll be casual, nothing fancy, just bring a bottle of wine and an appetizer. 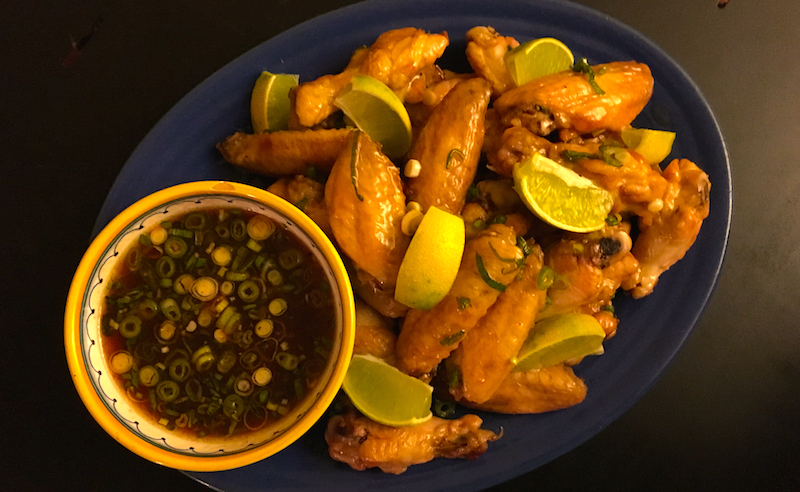 Whether we're talking about a particular football game that's coming up this weekend that shall not be mentioned, or just friends getting together for wine and snacks, chicken wings are the perfect solution for a quick and easy, not to mention rave-worthy, appetizer for a crowd. These, with just a few simple ingredients, take almost no time at all and would even be perfect this summer for a pre-func with icy drinks in the backyard. Line a sheet pan with parchment paper and put the chicken wings on it, leaving a bit of space between each one. Place in the oven for 35-40 minutes until they're cooked through and have begun to brown slightly. 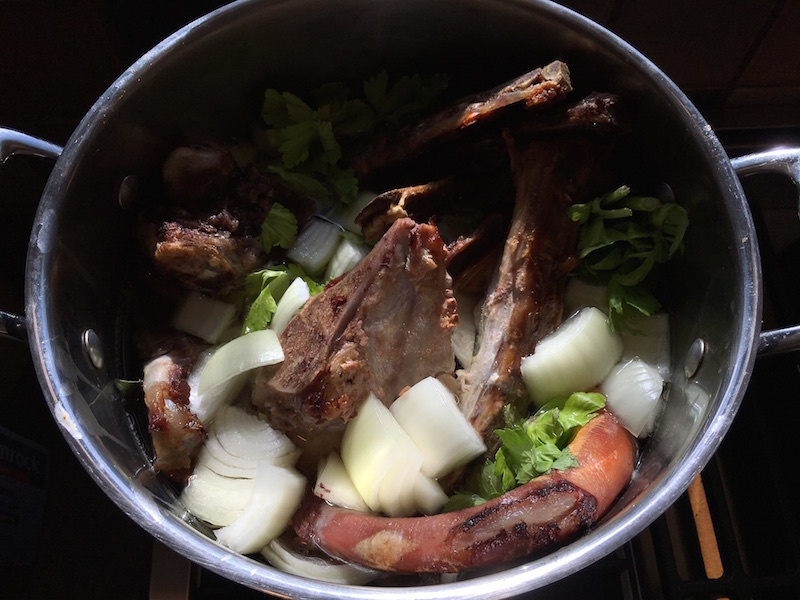 In a small saucepan over medium-high heat, pour in the rice vinegar and the sugar and stir it until the sugar dissolves. Bring it to a lively boil, and when it has reduced by half (it'll turn into a thick syrup), take it off the heat and stir in the sriracha, fish sauce and the onion. Put the hot chicken wings in a large mixing bowl and pour the sriracha syrup over the top. Toss to combine. With tongs, remove wings to a platter. Garnish with lime sections and sesame seeds, if desired. Pour any remaining syrup into a small bowl and serve alongside. Check out these other fantastic wing recipes: Susana's Vietnamese Chicken Wings, Tim's Spicy Wings. 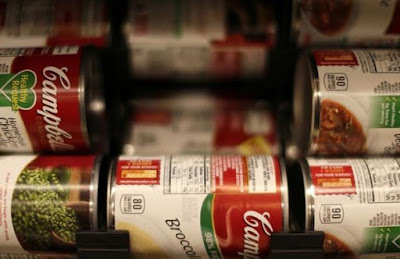 In what might be considered a tipping point in the battle over labeling genetically modified organisms (GMOs) in food products, Reuters reported that the Campbell's Soup Company "will label all its U.S. products for the presence of ingredients derived from genetically modified organisms." The company went a step further, announcing that it will break ranks with its peers and withdraw from any efforts to prevent such labeling. In a press release on the company's website, Campbell's states that "it is necessary for the federal government to provide a national standard for labeling requirements to better inform consumers about this issue. The company will advocate for federal legislation that would require all foods and beverages regulated by the Food and Drug Administration (FDA) and the U.S. Department of Agriculture (USDA) to be clearly and simply labeled for GMOs. 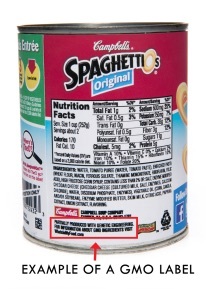 Campbell is also supportive of a national standard for non-GMO claims made on food packaging." While a timeline to begin labeling its products has not been announced, it has prepared labels that will be used to comply with Vermont's recent passage of a GMO labeling law that will take effect in July 2016. The company said that if a national standard for labeling is not enacted quickly, "it was prepared to label all its U.S. products for the presence of ingredients that were derived from GMOs and would seek guidance from the FDA and approval by the USDA." 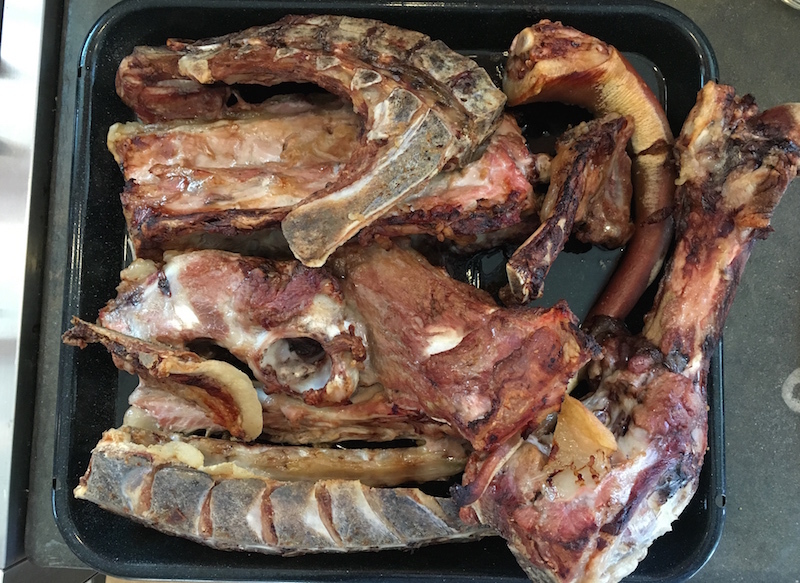 If you find yourself standing in front of your market's butcher case trying to decide between a grass fed steak and one from a cow that was raised conventionally, your decision has just become much more fraught. 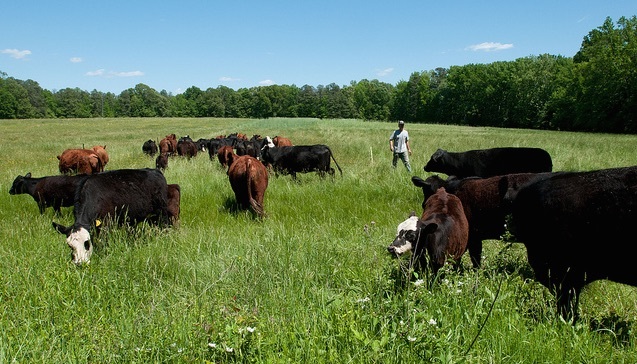 The National Sustainable Agriculture Coalition reported that a battle between two federal agencies has led to the revocation of the standard for labeling grass fed meat. The USDA's Agricultural Marketing Service (AMS) "rescinded the labeling standard for grass fed meat, which was developed over the course of four years and finalized in 2006 with the support of national farm and consumer organizations." This is a result of an internal turf battle that erupted between the AMS and the USDA's Food Safety Inspection Service (FSIS) over an internal legal decision that the AMS did not have the legal authority to establish the standard in the first place, instead declaring that the authority to make the decision rested solely with the FSIS. 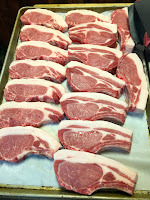 This leaves farmers and meat producers to either revert to a previous, less rigorous grass fed meat standard or to develop one on their own, which could lead to a mish-mash of competing standards and claims, leaving the consumer to have to figure out which producer is telling the real story. 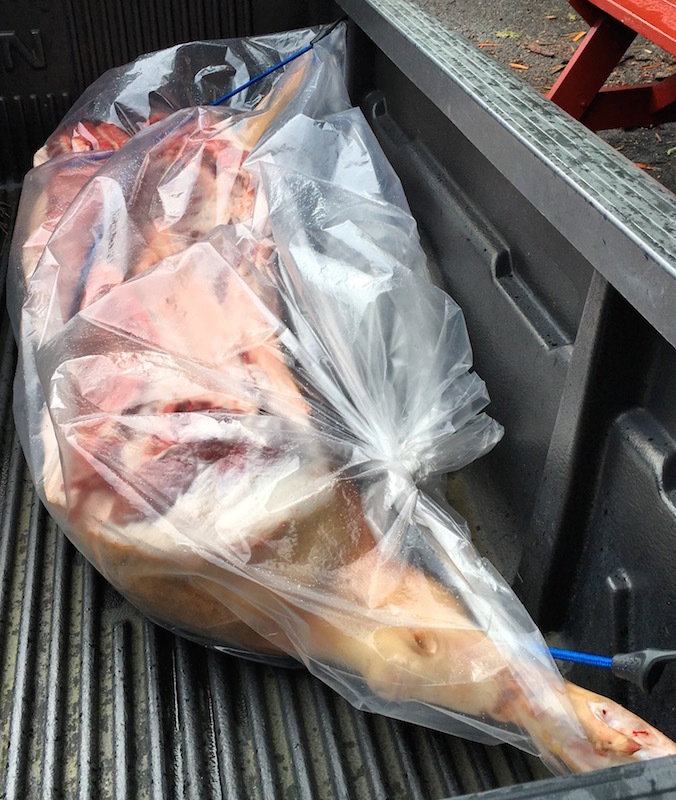 "Meat labeling just became even more confusing for farmers and consumers," Ferd Hoefner, policy director for the NSAC, is quoted as saying. "USDA is revoking a label standard that had widespread farm and consumer support. Actions such as this take us into a Wild West situation, where anything goes and both farmers and consumers lose." The Xerces Society reports that an Environmental Protection Agency (EPA) report has found that one widely used neonicotinoid insecticide, imidacloprid, is a threat to pollinators. A preliminary risk assessment states that this neonicotinoid "potentially poses risk to hives when the pesticide comes in contact with certain crops that attract pollinators" even when used in legal applications. Neonicotinoid insecticides affect the central nervous systems of insects, causing paralysis and death, and have been linked to colony collapse disorder in bees. 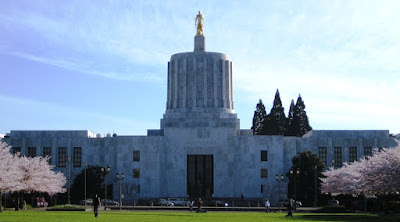 The insecticides were at the center of the deaths of 50,000 bees in Oregon when blooming linden trees were sprayed with the insecticide, and have been implicated in subsequent large bee kills. Addressing the effect of neonicotinoids on bees, Lori Ann Bund of the Center for Biological Diversity said in an article in the Oregonian that "bees who are exposed to even tiny levels experience hits to their neurological function. They can't find they way back to the hive, they have less foraging success, they can't communicate effectively, and they can't fight off wasps. Those are the impacts that are really significant on the population scale." The Xerces Society, while noting some significant problems with parts of the EPA assessment, said that "the EPA’s preliminary assessment recognizes significant risks from the legal use of imidacloprid. If these risks are to be reversed, the EPA must suspend the use of imidacloprid until we know if and how it can be used without threatening bees and other pollinators." Campbell's photos from Reuters and Campbell's Soup Co. Photo of cattle from USDA. The complex flavors of Thai cuisine are intoxicating, the perfect combination of salty, sweet, sour and bitter, with a big hunk of umami thrown in. I'm also a lifelong egg fiend, having perfected scrambled eggs when I was around eight, so Real Good Food contributor Jim Dixon's recipe for a Thai-style omelet topped by country gravy was a must-try. See what you think. I was watching the Sriracha documentary last week, and in one short segment a cook pours beaten eggs into a hot wok. The eggs puff up dramatically and get nicely browned. The next morning I started experimenting. I beat two eggs with a little water, figuring the steam created would help the omelet get puffy. 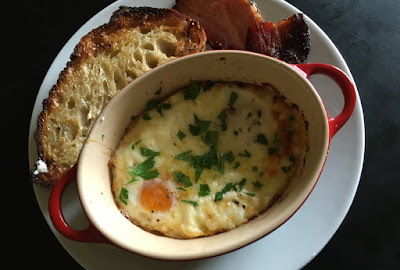 I heated a nice slick of extra virgin olive oil in one of my smallest cast iron skillets, dropped a tiny bit of the egg into the oil as a test (this was in the movie), and poured in the eggs. 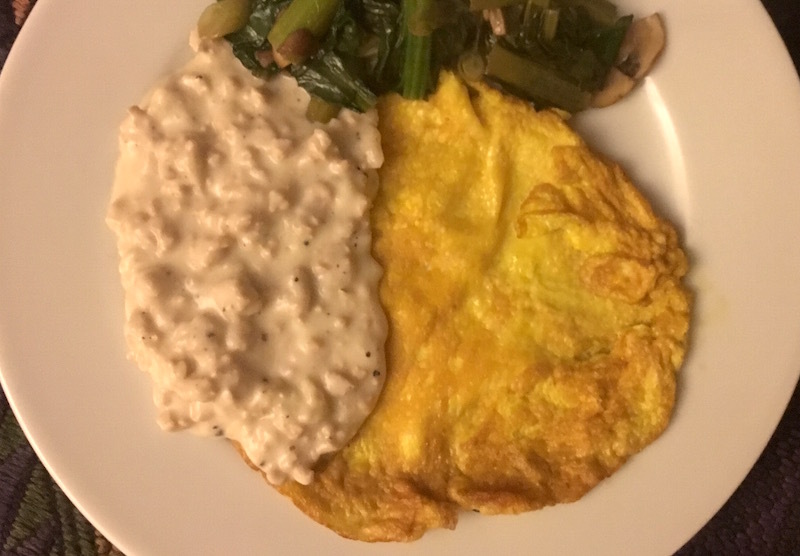 The omelet immediately bubbled up, threatening to spill from the skillet. But it didn't, and I was able to flip it over, finish cooking, and eat it for breakfast. After my first attempt, I did a little googling. Recipes for Thai omelettes (called Khai Jiao) are everywhere and, like a lot of traditional foods, opinions vary. 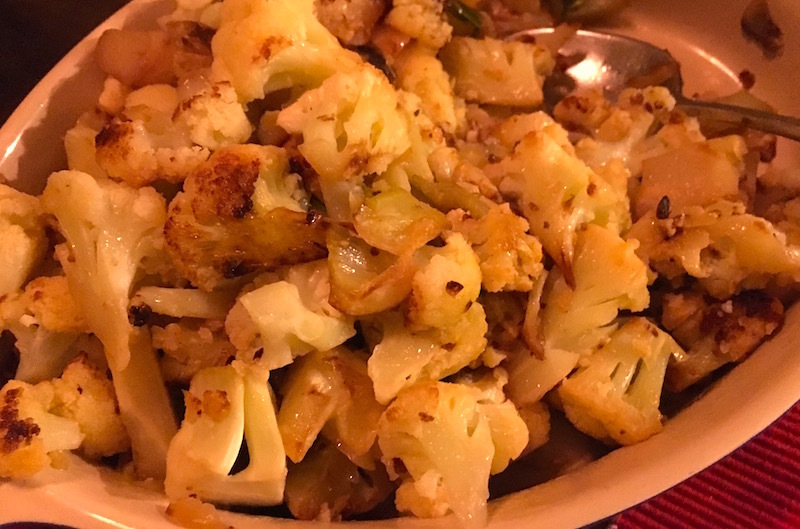 Some call for added cornstarch or rice flour, some insist on ground pork, others add lime juice or vinegar, but all agree that fish sauce is essential. Since I liked my first one, I keep it simple by just adding the fish sauce. Here's my version. Beat an egg (a single egg makes a six inch omelette that's easy to turn) with about a teaspoon of water and a few shakes of good fish sauce (preferably Red Boat). 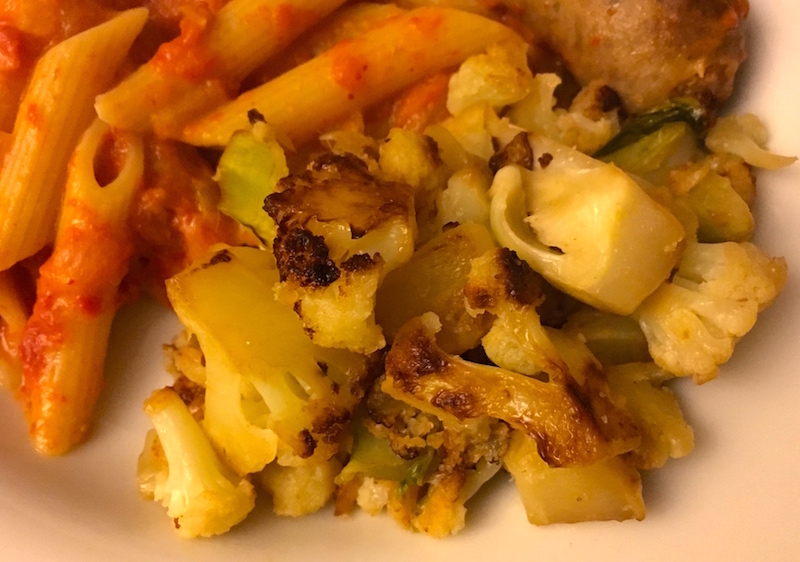 Use enough olive oil to cover the bottom of a smallish skillet or wok, and heat it over medium high for a minute or two. You want it very hot but not quite smoking. Drop a tiny bit of the egg mixture into the oil; if it sizzles and bubbles up, it's ready, and you can pour in the rest. The egg will quickly puff up around the edges. Let it cook for about a minute; when the center is nearly set, use a pair a spatulas to flip it over. Let it cook another 30 seconds or so, then slide the omelet onto a plate. Sprinkle with salt, add your favorite hot sauce, or bring a little of the Deep South to SE Asia and top the omelet with country gravy. To make country gravy (aka milk or sausage gravy), cook a half pound of ground pork in a cast iron skillet, breaking it up with a spatula as it cooks. Add a few tablespoons of flour and cook for a few minutes to get rid of the raw flour taste. Stir in about a cup of whole milk (a splash of cream, creme fraiche, or half-and-half won't hurt) and let the gravy come to a boil. Turn down the heat and let it cook for a few more minutes, then add salt and a lot of freshly ground black pepper. 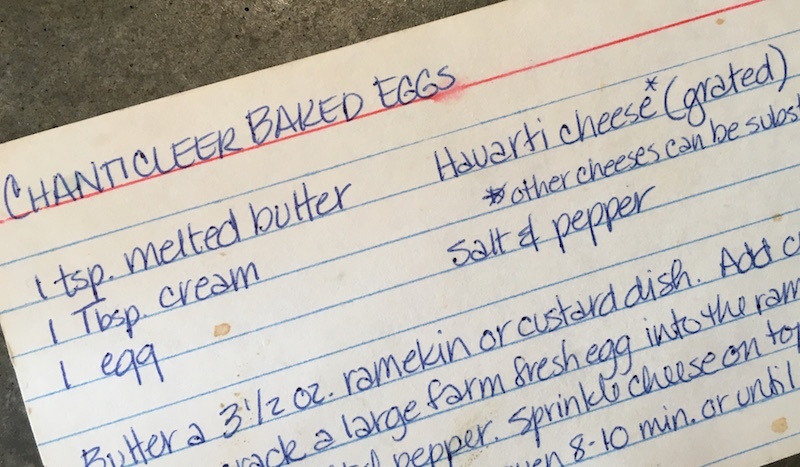 Spoon some over your omelet, or almost anything.